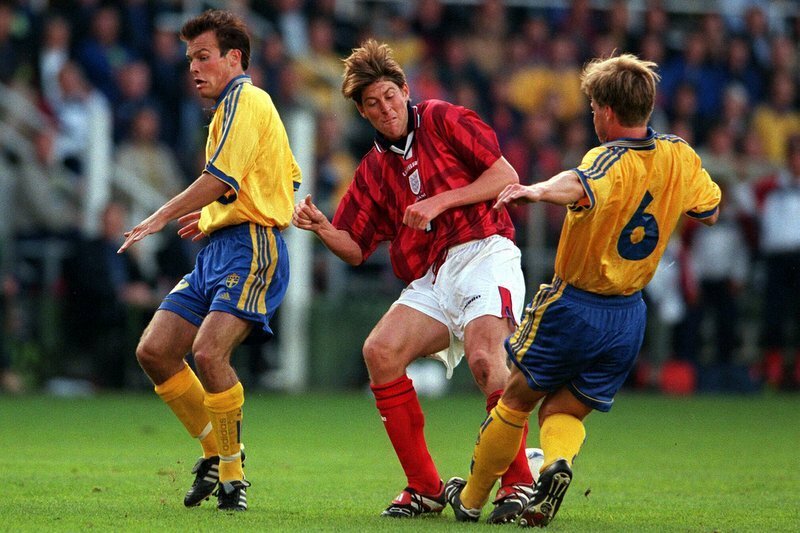 England’s Darren Anderton is sandwiched between Sweden’s Freddie Ljungberg (left) and Stefan Schwarz (right). Ljungberg secured a £3m move to Arsenal from Halmstads BK in 1998, despite receiving reported interest from the likes of FC Barcelona and Chelsea, too. It is understood that manager Arsene Wenger gave the club the green light to sign the Sweden international after watching the midfielder star against England in a UEFA Euro 2000 qualifier on TV! Despite the Frenchman never watching Ljungberg in the flesh, the Halmstads BK signing proved a bargain at £3m for the next nine years.